www. wordcount.org - 얼마나 단어가 많이 쓰이는지 알수 있음. 2. Irony is where the intended meaning is the opposite of the literal meaning. It actually means the opposite of what it seems to say. 4. It's all Greek to me - I don't understand what they are saying. Better to know what your enemy is before you front him. Something like that doesn't diminish with age. What could I possibly do in return? We will set up a regular schedule for lessons. Age is meaningless commodity in most instances. Genius disregards the boundaries of propriety. Genius is permitted to shout if shouting is productive. She didn't like being reminded of her problems. The middle button was pulled sideways by her stomach, and it was going to pop off very soon. The sun had gotten lower in the sky, and as it came through the windows it fell on Maria. Molly lagged behind Will and me. I just have to learn to adjust to what they change to. I stirred the last soggy rice krispies in the bottom of my bowl. They might as well be prepared. The other photograph was of her bent head, with what was left of her curly hair falling down over her face. I talked her into letting me help Ben with the rest of the laundry. Sometimes things don't work out the way you want them to. It's nice just to have someone to blame, even if it has to be yourself. We all say things we're sorry for. How can I learn if I don't take risks? He hadn't gotten any better since the last time we did it. His life is ending at the very moments of its beginning. Your dreams come out of what is real. It takes all the courage I have to deal with those. It's easier for the little things, to be able to laugh at them. It makes life seem pretty simple, and a lot of fun. Antarctica is the most remote continent on the planet. 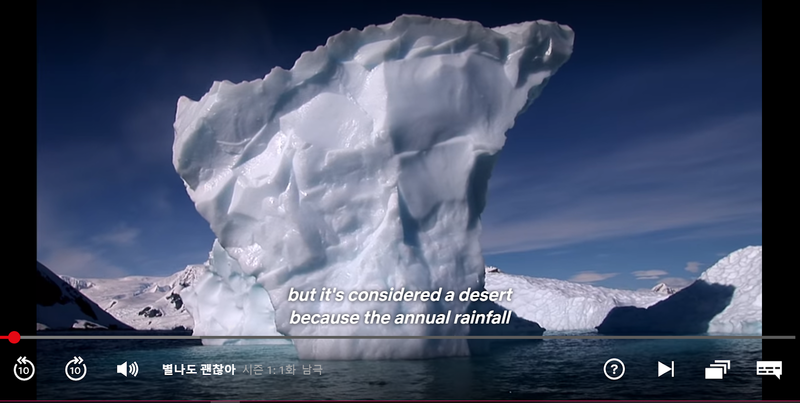 It has 90% of the world's ice, but it's considered desert because the annual rainfall is only about 8 inches. It has one thing going for it. - 한가지 좋은 점이 있어. Elsa : I appreciate you're trying to help, but all the things that make my son's everyday life difficult like reading social cues, exchanging small talk all the things I've helped him navigated his entire life, are magnified in dating. Dating is almost entirely nonverbal communication, and Sam's most literal person I know. Juliet : There are strategies that I could teach him. Elsa : Are there strategies for when you get your heart broken? We're 32 days into his senior year, and he hasn't had any meltdown yet, so I don't want to push him. Relationships are hard enough for neurotypicals. I don't want to put that kind of pressure on my son. Juliet : There was a study done in Toronto a few years ago. Researchers found that only nine percent of adults with autism are married, not because they lack desire, but because they don't know how to do it. Your son has the same desire to be loved that we all do. Why shouldn't he pursue it? Elsa : He's not ready yet. Juliet : A lot of parents have hard time as their kids become more independent. It's completely natural. So if you ever need someone to talk to, I can refer you to one of my colleagues. Elsa : That won't be necessary. 💽The trick is knowing when to put my research to use. 💽I am not great at picking up signals. Casey : You don't have to be friends to do what's right. You were the one picking on the fat kids. My sister doesn't let anyone beat me up except herself. You're crossing the line from flirty to creepy. When you make a eye contact, you have to look away a bit. Otherwise it can seem scary. Casey : I'm sorry. I don't really date. It's just not a distraction I need. I'm gonna get a track scholarship and get out of this town. Evan : Oh, well, fair enough. I'm probably gonna change your mind about that dating thing, though. I kind of grow on people. Girl : I always thought my nose is too big. Sam : A little, but, the rest of your face makes up for it. Evan : I just came to see if you changed your mind about going out with me. I brought you this. Casey : What is up with your family bringing me sweets? Evan : I don't know. I like you. 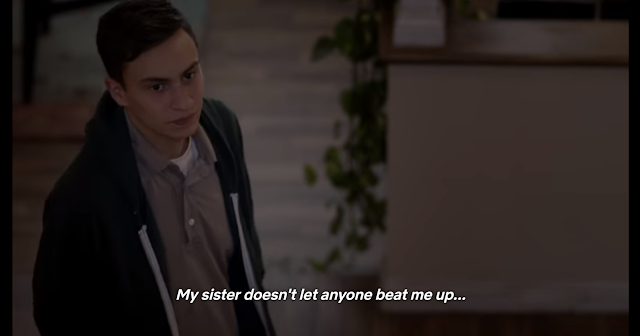 Evan : 'Cause most people don't stand up to assholes, but you do. He said penguins are similar to humans, because once they copulate, they stay with the same partner for life. But according to 2010 census, which is most recent data I could acquire, 49% of marriages end in divorce. The woman who ends up with you will be lucky. You want to be with someone who appreciate you for what you are. You know, who loves all the little odd things about you, who gets you. When male gentoo penguin chooses a mate, he makes an offering. He finds a pebble, often taking the time to find the smoothest one, and presents it to the female. If the female places the pebble in her nest, she accepts him as a mate. March 29 was supposed to be the day that the UK left the European Union. Instead, lawmakers in the House of Commons decided to vote down Theresa May's deal for the third and probably final time. In what is currently being seen as her last attempt to get the deal over the line and allow everyone to get on with their lives, the Commons handed May yet another humiliation. Though support for the agreement has grown, a defeat by a margin of 58 is a crushing blow to the Prime Minister. Brexit is a mess. The only thing that's clear right now is that no one is in charge and, worse, no one is in a position to be in charge. The House of Commons can't agree on anything, as was made painfully clear on Wednesdaywhen it voted on alternative Brexit options. All eight proposals were voted down after a long evening that resulted in nothing other than a public, national embarrassment. Friday's vote might have been the most absurd spectacle in the history of British politics. The government brought forward a crucial vote that it knew it was going to lose. People in May's own party who previously described the deal as appalling and akin to slavery voted for it. People in the opposition Labour Party, whose own Brexit plan is very close to the Prime Minister's, voted against it. People who claim to rank the unity of the United Kingdom as their primary concern have acted in a way that has sowed the seeds for further division. No one knows what is going to happen and no one seems to have a way out of this shambles. The cause of this deadlock lies firmly at the feet of Members of Parliament. For three years they have talked exclusively to themselves. They have, respectively, ignored the political reality of what was acceptable to the EU, what was acceptable to their colleagues in parliament and what was acceptable to the public. Over the past week, May, with the help of the EU, threw the kitchen sink at getting this thing done and dusted. She even went as far as offering her head in exchange for her deal passing, and stepping aside to let someone else take over the future of Brexit. At the EU Council Summit last week in Brussels, the other EU 27 leaders offered May a lifeline. They accepted her request to extend Article 50, and surprised everyone by giving her two quite generous options to avoid no deal. Despite the attempts of some in the UK to outsource their responsibility to Brussels, the EU made clear it will not be seen as responsible for causing a chaotic crash-out. 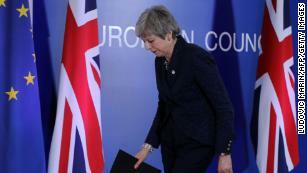 Those two options were to get the deal approved by March 29 and leave the EU on May 22 -- or make a decision by April 12 on whether the UK wants a further extension or leave without a deal. Unless the EU decides to give May another chance to get the deal approved, April 12 is the only date that matters now. That is the date by which the UK will need to declare if it intends to participate in the EU parliamentary elections. If it doesn't, then it's no deal. If it does, that's a whole new can of worms being ripped open. The UK would have to send MEPs to Brussels as a member state. How long it would have to remain a member state is a matter yet to be decided, but it's fair to say that the political situation in this country would require it to be months, if not years. And being a member state for that length of time, with no credible plan to leave and calls growing for Article 50 to be revoked, a second referendum would become a real possibility. And probably a general election. The United Kingdom is anything but united. Brexit has sucked the oxygen out of politics and sidelined huge problems facing the UK. Schools, policing, prison, housing. None of this is getting sorted because politicians have instead spent three years grandstanding. The public deserves better than this. More political uncertainty is the last thing this country needs. When people in authority revoke something such as a licence, a law, or an agreement, they cancel it.